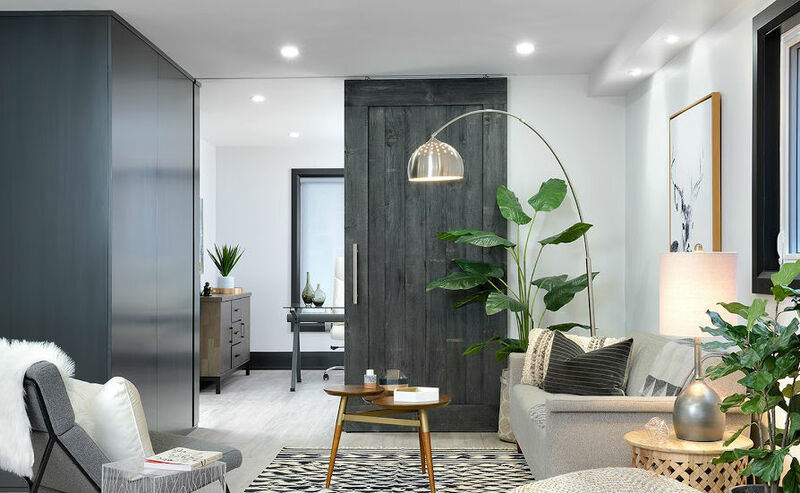 This sliding barn board door designed and renovated by Toronto Custom Concepts is another example of us incorporating a traditional sliding barn board door and tying it into a very contemporary home renovation that we just completed. The sliding barn board door is the entry way between the home-owners office and their living space. The door was stained in a dark charcoal colour to complement the black millwork and trim that we installed thru-out the home. Hope you like the final results of this Toronto barn board project...Our clients really do!! !